The Richmond High School Alumni Association (RHSAA) is the third oldest in the nation. We began in 1871 with a dinner for the second graduating class. In 1995 the association established a permanent office. The RHS Alumni Associatoin office is located in historic Richmond High School. We walk the same halls that you did and the same halls that students use today. This gives us a presence to the current staff, student body, and community. We exist 100% on donations. Our membership contributions fund our office, pay the director, help with community outreach, and print our newsletters. All additional donations go to funding scholarships. 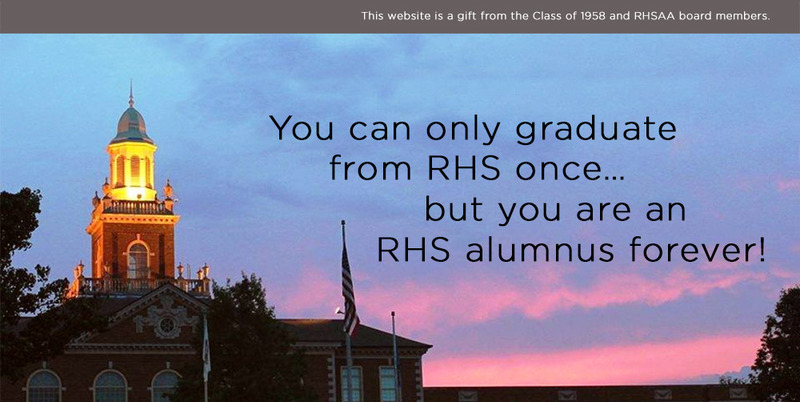 The RHS Alumni Association produces four quarterly newsletters each year, which is sent to all members. We maintain a database of over 30,000 alumni, which provides us with current information to help with class reunion planning and other events.